Why wait for years for a beautiful smile? How long do you think it takes for orthodontic braces to straighten out misaligned teeth? Three years? Two years? Certainly, never less than one? Well, think again, because it can take as little as four months to realign them. Here at Garden View Dental Care, braces systems on offer are at the cutting-edge of dental technology, and that means speed in resolving some orthodontic issues. We offer a braces system that can take as little as four months to resolve alignment issues in Buckinghamshire. Six Month Smiles is possibly the world’s best known braces system designed for simple realignment problems. Six Month Smiles in Buckinghamshire take on average between four and nine months to reposition teeth, hence the name. It is a bracket and wire system of braces. This does not mean that, in order to achieve that lovely smile you want, you will have to be wearing heavy, obvious and uncomfortable metal ‘train-track’ braces in Buckinghamshire. Six Month Smiles are created to be comfortable and discreet. The brackets are made of tooth-coloured ceramic, as are the wires, and produce outstanding and predictable results. Six Month Smiles in Buckinghamshire are only suitable for certain kinds of simple realignments involving the front six teeth. Therefore, your first appointment with us is all about making sure that this is the right course of action for your issues. If it is, then we can go ahead and take impressions and photos of your teeth. These are then sent off to the Six Month Smiles laboratory in the United States, where they shape the wires and calculate the angle and position of each bracket in order to gently nudge your teeth into their desired new position. Once the brackets have been bonded to your teeth, and the wires fitted, your braces are good to go. You will need to pop back every four to five weeks for a check-in and possible adjustments. Once your braces treatment is complete, you will have a retainer bonded to the back of your teeth, out of sight, to stop them returning to their former position. This entry was posted in Six Month Smiles on 26th May, 2017 by Garden View Dental Care. Six months – is it really possible? Dentistry moves on all the time and, at Garden View Dental, we like to keep abreast of what is going on so that you get the latest and greatest treatments available. Moving teeth is, at the moment, a fairly set process that takes as long as it takes for the body to respond and change the position of the teeth. Applying consistent pressure to the tooth for 72 hours or more stimulates a reaction that begins to move it in the direction indicated by the gentle force. This movement generally takes place over a number of months. That being said, techniques have developed that focus the intention of the treatment on less teeth to get an aesthetically pleasing effect that has enough of an impact for many people. This can be achieved in something like four to nine months but an average of six. We offer such a treatment at Garden View Dental, Buckinghamshire. Six Month Smiles is a technique that considers the aesthetics of both your treatment and the result to be very important. The brackets and wires of this system are clear and tooth coloured so they blend in with the teeth, making them subtle while they are busy smoothing out your smile. The braces are custom made for you and then returned to our clinic in Buckinghamshire. Six Month Smiles position the brackets in patient trays based on their experience and on impressions taken of your teeth by your dentist. These are then fitted onto your teeth back at your clinic. The whole procedure is relatively quick and comfortable. Your dentist will stick with you throughout the treatment and monitor your progress. They will also give you advice on how to care for your braces and ensure that your mouth stays fresh and clean. You will need to commit to assiduous oral hygiene practices in order to get the best out of this advice. Making the choice to get something like Six Month Smiles in Buckinghamshire is one that will lead you to a beautiful smile in less time that you may have imagined and without having to put your life on hold in the meantime while you have obtrusive work done. We look forward to providing this solution for you. This entry was posted in Six Month Smiles on 12th May, 2017 by Garden View Dental Care. What if someone told you that in only half a year you could transform your teeth so much that you’d find it hard to stop smiling? And what if they also told you that doing so wouldn’t cost you the earth, hurt like crazy or fill your mouth with so much metal that no one could fail to notice you were having ‘work’ done? Well, at Garden View Dental we can tell you all those things about Six Month Smiles in Buckinghamshire. Six Month Smiles is the brand name of one of the most well-renowned cutting-edge braces treatments on the market. If you are an adult who wishes they’d got their teeth straightened as a youngster, or maybe you did and they’ve gone out of alignment again, then Six Month Smiles in Buckinghamshire might well be the solution you have been waiting for. This clear braces system is aimed at adults (and teens) whose front six teeth, the ones most on view, need some straightening, but who do not have any other serious problems with their bite. With Six Month Smiles in Buckinghamshire, the teeth are straightened using discreet fixed braces (fixed braces work faster than removable aligners), which are made up of clear ceramic brackets and tooth-coloured wires. Brackets and wires use standardised mechanics, but because, with Six Month Smiles the aim is to improve the appearance rather than the bite, the forces needed to move the teeth are much gentler, and therefore less painful. This means there is a lower chance of root damage. This is also why the whole process is much quicker, usually between four and nine months rather than two or more years. And a quicker treatment means a lower cost for you, the patient. When the teeth have been moved into their new position, and the braces treatment is over, the patient needs to wear a removable retainer to keep them in their new place in the jaw. If you find that you just can’t keep remembering to put that retainer in, there is the option to have a bonded retainer fitted. This is also invisible. This entry was posted in Six Month Smiles on 21st April, 2017 by Garden View Dental Care. Do you want A new smile? Do you want a perfect smile? Are you one of the millions of adults who are unhappy or self-conscious about your teeth? Many adults spend their lives covering their mouth when they smile, when they laugh or when they talk. Many are concerned it’s too expensive or invasive. This just isn’t the case as now Garden View Beaconsfield Six Month Smiles can help you. Six Month Smiles is a revolutionary technique where in as little as 6 months you can have a Hollywood smile to be proud of! Gone will be the days of crooked and wonky teeth. Your new Six Month Smiles will leave your friends and relatives in awe! Six Month Smiles is a state of the art modern twist on old fashioned orthodontics. It is a great choice for adults looking for an affordable life changing cosmetic improvement that is both discreet and convenient. Almost invisible to the naked eye Six Month Smiles offers you piece of mind that your smile will be beaming in only 6 months’ time, expelling the embarrassment of years of hiding your smile. The Six Month Smiles treatment is also quicker than traditional methods ensuring higher levels of comfort, hygiene and safety during the procedure. What Can I expect during my Six Month Smiles experience? When you have decided that the Beaconsfield Six Month Smiles experience is for you, you can look forward to a wonderful welcome from our outstanding staff. We will welcome you with warmth not only from our hearts but from our freshly brewed tea. Our clinicians are highly qualified and individually trained to provide not only exceptional dentistry but give all of this with the respect and dignity all our clients deserve. This entry was posted in Six Month Smiles on 17th March, 2017 by Garden View Dental Care. In Buckinghamshire, Six Month Smiles is a system of clear braces specially designed to give adults as well as teenagers the chance of a bright smile of straighter teeth in a period of four to nine months. At Garden View Dental Care in Beaconsfield, Buckinghamshire, Six Months Smiles is our preferred clear braces system. Garden View has chosen to offer this system because we want our patients to have the most effective aspects of braces treatment, with a modern use of materials that fits with their lifestyle. Six Month Smiles has replaced the use of metal with clear wires and tooth-coloured brackets that blend in with your teeth. Six Month Smiles gently moves your teeth using light forces into their new position. Not only is the cost is usually less than traditional braces, but the experience is usually more comfortable because, although Six Month Smiles uses standardised mechanics, the emphasis is on the appearance of your teeth rather than the position of your bite. Not only that but Six Month Smiles is a lower risk system because the forces used with the braces are lighter and fewer teeth are extracted. This means there is a lower chance of root damage. Sounds great. What happens when the treatment is over? As with all braces systems, you will have to wear a retainer to make sure that your teeth stay in their new position. This retainer is removable. If you do not want to wear a retainer after your Six Month Smiles braces have been removed, there is the option to have a bonded retainer fitted. This is also invisible. Our patients are very important to us and you can be confident that we will always listen to your needs and requirements and keep you fully informed as treatment progresses. If you would like to book an appointment, then please feel free to contact our team. Appointments can be made by calling our practice on 01494 674857, emailing us on info@garden-view.co.uk, stopping by the practice or requesting an appointment through our website. Our receptionist will contact you and arrange a convenient appointment. This entry was posted in Six Month Smiles on 6th January, 2017 by Garden View Dental Care. At Garden View Dental Care in Buckinghamshire, Six Months Smiles provides a short-term orthodontic treatment with a modern twist on tried-and-tested methods to correct crooked teeth. In dentistry, braces are a widely used and effective method to give patients straight, healthy teeth and a beautiful smile. Six Month Smiles has modified certain aspects of the treatment and the materials used in braces to give adults a cosmetic solution that fits your lifestyle. What is so innovative about Buckinghamshire’s Six Month Smiles? For a start, Six Month Smiles offer an average treatment time of only six months (which means somewhere between four and nine months, depending on your teeth). Traditional braces treatments usually take between one year and three years or more. Along with reduced treatment times, Six Month Smiles uses Lucid-Lok® clear brackets and tooth-coloured wires, which are barely visible, meaning you can go about your daily business without feeling self-conscious or embarrassed, as is so often the case for adults fitted with traditional metal braces. Low forces and short overall orthodontic treatment times increase comfort, safety, and hygiene. Six Month Smiles braces have a predictable final result. And, because no one likes to spend more time than necessary at the dentist, we Six Month Smiles use Patient Tray Kits™ to ensure that your appointments are fast and comfortable. Six Month Smiles is typically less expensive than traditional braces, aligner therapy, or veneers. What do other patients say about Six Month Smiles? At Garden View, Buckinghamshire, Six Month Smiles have been receiving great reviews on our website. Many say it is the best thing they have ever done, and few expect it to have such amazing results. They describe our patient care as “second-to none” and many say that their new smiles get them more attention and give them more confidence. If you would like to find out more about Six Month Smiles, you can phone Garden View for an appointment on 01464 674857, or email us at info@garden-view.co.uk. At Garden View we want you to have the smile you have always wanted, and take every care to see that you get it. This entry was posted in Six Month Smiles on 18th November, 2016 by Garden View Dental Care. At Garden View Dental Care, we want you to flash the smile you have always dreamed of, and no longer feel unhappy, self-conscious or embarrassed by your teeth. Many adults do not know that it is possible to have their crooked, crowded or misaligned teeth straightened, and to smile with confidence. But teeth alignment is available to adults as well as teenagers, and without the embarrassment of a mouth full of metal in a business meeting. Welcome to Six Month Smiles, an effective, safe and affordable cosmetic braces solution that fits your lifestyle. What is Six Month Smiles in Beaconsfield? 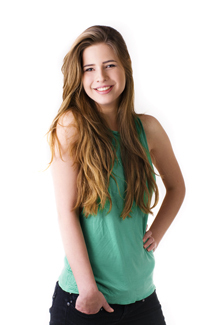 In Beaconsfield, Six Month Smiles short term treatment is a modern twist on tried-and-true braces treatments. There is little debate within the dental community that braces are the most widely used and most effective method to give patients straight, healthy teeth and a beautiful smile. Six Month Smiles has taken the best aspects of braces and modified the treatment and the materials to give adults a common-sense, cosmetic solution that fits your lifestyle. What is so innovative about Six Month Smiles in Beaconsfield? Well, for a start, the average treatment times with Six Month Smiles are only six months, instead of a year to two years. Six months passes in a flash, and during that time you will not be covering the metal in your mouth because Six Month Smiles Lucid-Lok uses clear brackets and tooth-coloured wires, which are barely visible. You can chat and laugh and grin away without worrying that people are gazing at your teeth instead of listening to your words. And you know how your mouth will look at the end of the Six Month Smiles treatment, because using braces has been shown to provide the most conservative and predictable final result. And if you are worried about pain or discomfort, you need not, because low forces and short overall treatment times of Six Month Smiles increase comfort, safety, and hygiene. Along with that, in Beaconsfield, Six Month Smiles Patient Tray Kits™ ensure that your appointments are fast and comfortable. This entry was posted in Six Month Smiles on 28th October, 2016 by Garden View Dental Care.